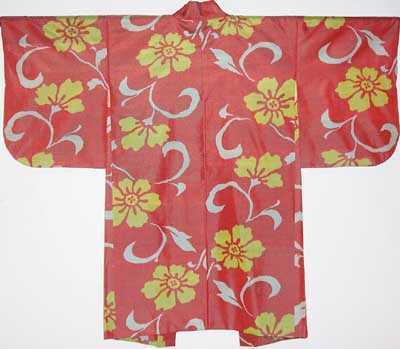 This haori is made of a special silk called Meisen. This fabric is composed of silk threads and the dyed cocoon filament. 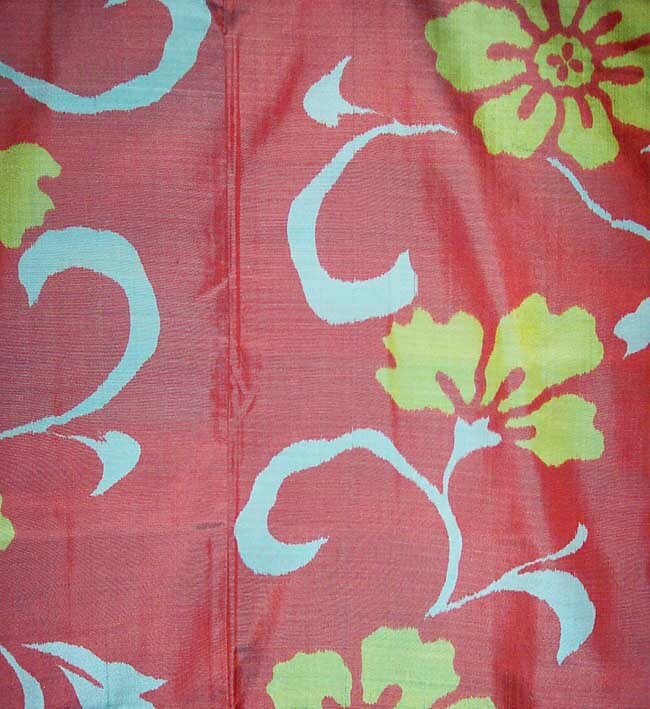 The resulting cloth is extremely durable and beautiful. We think the way it takes the dye is especially unique. The colors are soft and very muted. 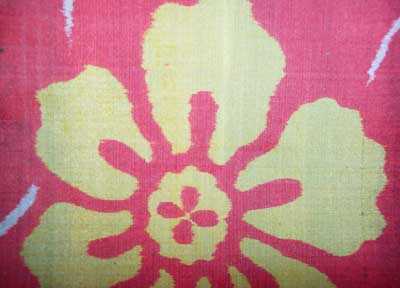 The haori has been decorated in a stenciled design of large flowers. We love the color combination of lime green and gray on a orange field. 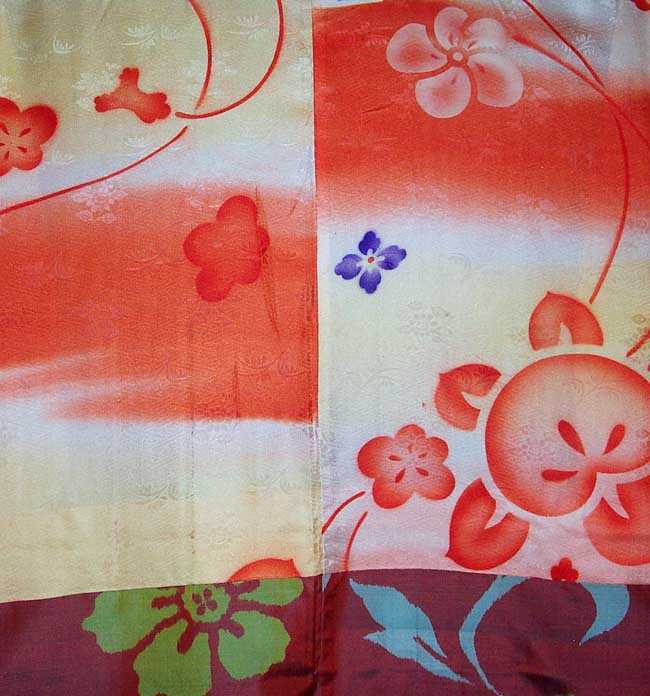 The haori is fully lined in a smart stenciled silk. Miesen disappeared from Japanese shops about forty years ago. Today collectors are greedily gathering up all of these they can find. The haori has a few light stains and some slight worn areas. These do not detract from the beauty of the garment. 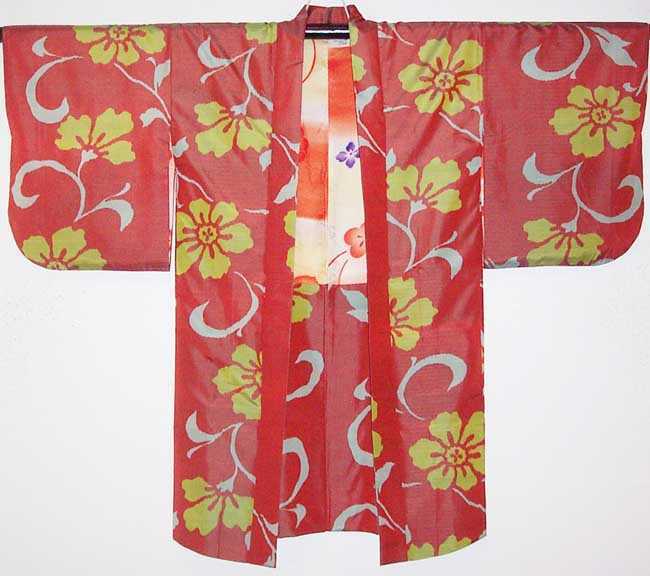 Haori Dimensions: 48” wide sleeve tip to sleeve tip X 39” long shoulder to hem.